Yakima, WA – Borton & Sons, Inc. just hosted a booth at the New York Produce Show and Conference in Manhattan for the first time. Both Denny Annen, President of Sales & Marketing, and Jay Dyer, Director of Sales & Marketing attended for Borton. 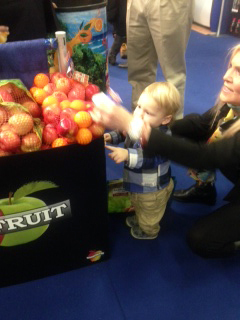 The New York Produce Show and Conference was held at the New York Hilton Midtown & Pier 94 convention center on December 10th through the 12th. Over 400 exhibitors and 3,000 attendees from all over the world participated in this year’s conference put on by the Southeast Produce Council and Produce Business. The theme for the show was “Celebrating Fresh”. “The show overall was very effective and timely. Attendance was very good along with the great atmosphere. We had very productive meetings with potential customers and there was a lot of direct interaction with buyers/decision makers. All of the seminars they held and market tours given were very participant friendly and educational. It was very promising and we are planning to attend again next year,” states Jay Dyer. 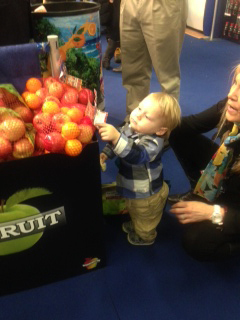 This little guy seems pretty interested in our Smaller Fruits for Smaller Appetites label that was displayed. 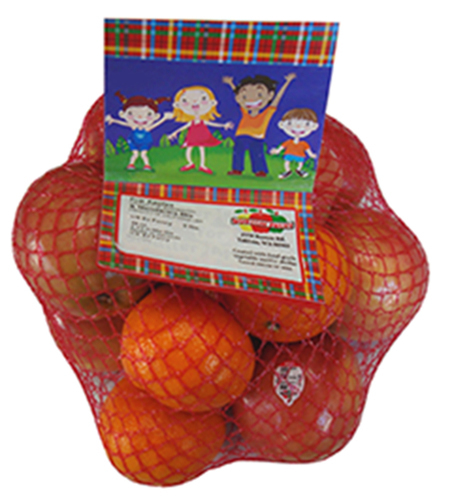 The pack is marketed towards children and consists of small apples and mandarins in the bag, also available in individual Apple varieties as well.